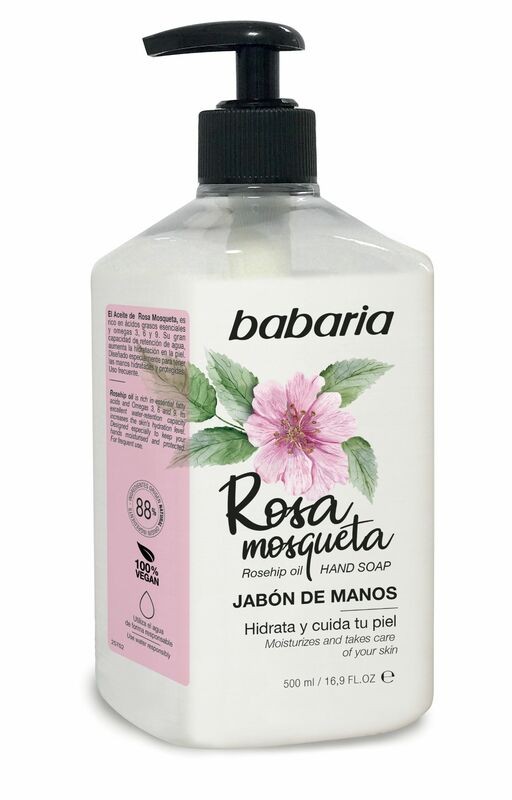 New Rosehip Oil liquid hand soap in an attractive pump dispenser so you get the right amount every time. A freshly fragranced hand soap gentle enough for all skins. It comes in an extra large container so is great value for money. Aqua, Sodium Laureth Sulfate, Sodium Chloride, Cocamide DEA, Rosa Moschata Seed Oil, PEG-7 Glyceryl Cocoate, Parfum, Glycerin, Styrene/Acrylamide Copolymer, Citric Acid, Tetrasodium EDTA, Methylisothiazolinone, Iodopropynyl Butycarbonate.